All orders are placed via e-mail only. If you are interested in a product, please send us a photo or use the reference code on our website and we will respond with a description of the product along with pricing. The pricing on most items/products are calculated according to quantity. 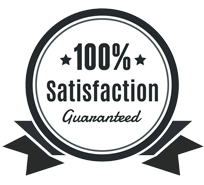 Where possible, always include quantity required so that we can provide a speedy quotation. We endeavor to respond to all emails within the same day. If we are extremely busy, then we may take a little bit longer to respond. If you enquire towards the end of the working day then you will most likely get a response by the next morning. We are closed over the weekends and public holidays. If you want to place an order you will be given an official invoice with banking details included. Payment is accepted via EFT or Zapper only. If you want to place an order from outside of South Africa, then we will provide our PayPal details to you. VERY IMPORTANT: Please be sure to send us proof of payment once made so that we can activate your order! If you do not inform us we will not know that you have made payment & your order may be missed. Please rest assured that the photos on our website are of products that were made by us and photographed in-house. What you see is what you will receive. Our lead time varies according to what is ordered. Our standard lead time is usually around 10 working days. However, if you are placing a large order the lead time will increase to possibly 12-15 working days. Small orders, such as cake toppers, require less time to make. The lead time for cake toppers range from around 3-6 working days. You will always be given your exact lead time at the time of placing your order. If you need it by a certain date, please include the date in your email and we will let you know if we can have it done in time! Please note that our workload increases dramatically towards the end of the year, which will result in longer lead times. To avoid the end of the year rush, please place your order in advance. We usually close for orders around the beginning of December and re-open again in the beginning of January. Which day will my order arrive? Once your order has been completed, you will be informed via email. You will also be given an estimated day/s of delivery. This is our standard procedure with ALL orders. Do you ship country wide? Yes we most certainly do! The cost of the delivery is calculated according to the size of your parcel and where it is going to. Major areas around South Africa only require about 1-2 working days in delivery, outlying areas will require a longer time frame around 3-5 working days. However, the exact amount of delivery days will also be given to you via email. Yes and no. It all depends on what you want to order. So please send us an email with what you would like to order and we will tell you! Please note all orders are custom made so we do not have a shop. Our website serves as a catalogue or portfolio of our previous work. You are welcome to view samples at our FACTORY but by appointment only. Yes we do! We have had many customers that have been extremely happy with our work and were kind enough to leave their reviews on Facebook. Please visit our Facebook page for the reviews.